Againstthe backdrop of the continued lamentations by freight forwarders over delays associated with the Pre Arrival Assessment Report (PAAR) in the clearing procedures of consignments from the nation’s seaports, the Nigerian Chambers of Shipping (NCS) has described the Nigerian Customs Service initiative as anti local content even as the Chamber is being apprehensive of its success. 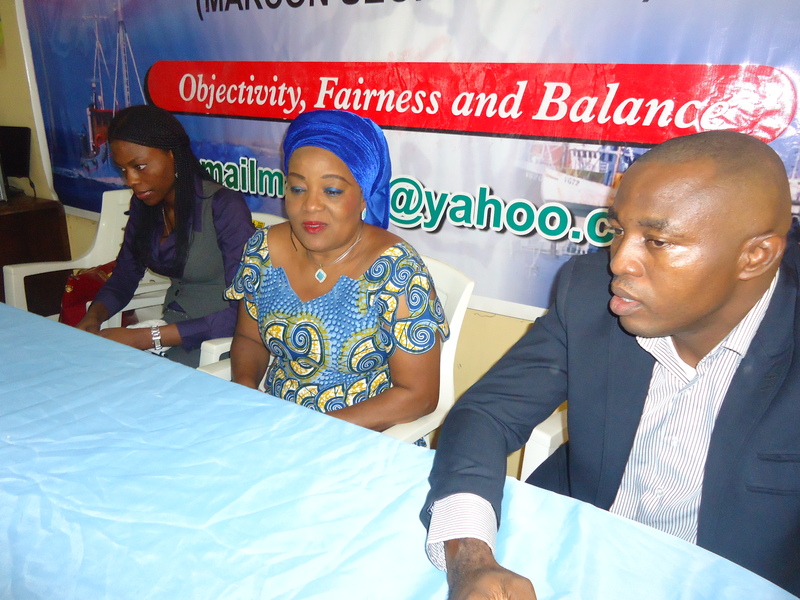 The Director General of the Chamber, Mrs. Ify Anazonwu-Akerele made this assertion in a roundtable discussions with journalists under the aegis of the Maritime Reporters’ Correspondent of Nigeria (MARCON) in Lagos Monday, even as he urged the customs to go back to status quo in bringing about smooth clearance of cargoes from the seaports. Akerele observed that the service providers were more competent for the Destination Inspection of imports but the customs were overzealous to take over the scheme, which has overtime caused hiccups in the clearance procedures of cargoes from the ports. The Director General explained that there was the need for the government to reverse the policy that was connected with PAAR because according to her, PAAR has not been effective in port operation. Consequently ,She pointed out that the customs did not have the technological- know- how on PAAR which she believed had been the reason behind the bottleneck faced by operators at the ports. “I am only been realistic about the situation on ground because PAAR cannot work except you put the experts on ground to run it”, Akerele maintained. Speaking further the DG stressed that the there is need to put in place the right operators to manage the situation faced by freight forwarders noting that customs duty on imported goods is high compared to other countries of the world. She however lauded the effort of neighbouring countries for reducing the tariff on imported rice and faulted the policy makers on duty hike on the staple food. According to her,”I feel sorry for the government because they have a very good intention to discourage importation of rice but as they were making that law, the importers and officials that oversees it find an alternative and I don’t also blame our neighbouring countries which reduced their import tariff because we gave them a bonanza and they are having a good time with it”. Akerele also harped that the chamber will continue to advocate for Nigerian participation in the maritime sector adding that there has been steady progression in the maritime sector as regards cabotage and local content act. She however called on foreign investors to inculcate the habit of empowering local operators to meet with international best practice.